The Eco Mechanics Races are a proposed set of races created by the Eco Mechanics. The races created by the Eco Mechanics (EM) are intented as a mere pretext to get people intrested in car tuning/learning things about modifying the engine and to help create a community of green engineers. In fact, the engineers can immediatelly become open source ecology (OSE) members, since there is such a large amount of overlap (the only difference being that the EM members focus more specifically on transportation technology). The things eco mechanics can learn about car tuning/modifying the engine include i.e. running on different (low or zero polluting) fuels -i.e. ethanol, methanol, biogas, methane, nitrous oxide, ...- by either modifying the carburettor or integrating custom ECU's with fuel injectors on 4-stroke gasoline engines they could use (like the Honda GX200 to 400 series, Tecumseh, EcoMoto, Kohler, Robin, Briggs & Stratton, Yamaha, TKM, Aixro, VT250 from Swissauto (or Tech F-1, Suter Vampire, Biland, Oral, GM) ). Also, they can learn about using straight vegetable oil (SVO) kits on diesel engines they might use, and, they can also learn about how to modify their mufflers to silence them more effectively. Other things that can be learned include making fairings and windscreens for cars, trikes and motorbikes using gridbeam. The amount of regulation/uniformity should be kept low, to ensure that contestants have the most freedom as possible. This will also make sure that it's not necessarily the best driver that wins the race but rather the contestant (or team) that has the best engineering skills. The cars for instance can be fitted with any engine they prefer, and even (simple) hybrid drivetrains can be made if preferred (plain series hybrid, with no energy storage). Also, regular gearboxes can be used, or CVT's. Full rubber tyres (rather than air-filled ones) should be standard though with all vehicles (cars and motorbikes). Also, with the minibikes (NOT the cars), the only approved type of engine should be the compressed-air engine. 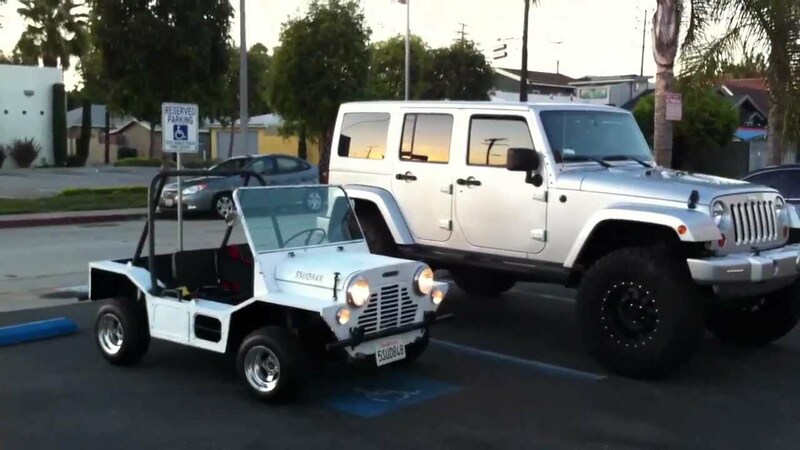 The microcar can be kept small and similar to the 1964 Austin Mini Moke Shorty. The custom mini moke chassis platform will also need to be made road-legal. This might mean the whole chassis platform (chassis, suspension, ...) might need to be bought from a certified mini moke (parts) manufacturer (see here and here). Another option is to make the frame using gridbeam. All though the mini moke might be the most useful design to base it on (due to higher ground clearance, better suspension), alternatives could also be made say on the Locost, as it too has many parts manufacturers that can provide the (road legal) chassis and suspension. In case no suitable suppliers can be found, builders can have their chassis welded from scratch (using plans from minitrucs.free.fr, Automobile-catalog, AMC Cub (chassis frame), Minimania (for mini moke), super7thheaven, locost7.info, Sevenesque (for locost), and fit the suspension themselves.